On August 1, 2017, our Patient Portal will be upgraded to make sure it meets the highest standards for information security. The upgrade will not affect existing accounts, and the Portal will not be taken off-line. It will, however, affect access through outdated/obsolete Operating Systems and Browsers. Please plan to upgrade your systems if required. Ear Nose & Throat Associates has taken a big step toward improving the quality of your care – and the efficiency of our customer service – by implementing a Patient Portal as part of our Electronic Medical Record system. The Patient Portal is a secure, online service center where you can access your personal health information, address administrative needs, and make non-urgent medical requests. And having access to your information will also help you stay informed and in charge of your own care. To help protect your personal health information from unauthorized access, the Patient Portal has been designed to automatically close after 30 minutes. It’s recommended that you save periodically to avoid any information from being lost should the system time out. WHAT CAN THE PORTAL DO? Once you’re registered, you can enter the Patient Portal at any time. Click on the “Get Started Now” button, and then LOGIN with your User ID and Password. 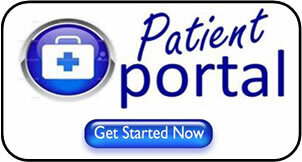 DO NOT USE THE PATIENT PORTAL FOR URGENT CARE MATTERS. you should call 911 or go to the nearest emergency room.